In the fall of 2018, 38,390 students began study at U.S. law schools. Of these, 20,366, or 53.1 percent, are women. Among the law schools where women make up at least 62 percent of the first-year students are North Carolina Central University, Boston University, New England Law School, St. Thomas University in Florida, and the University of Toledo. The new deans are Verna L. Williams at the University of Cincinnati, Melanie Stein at Ithaca College in New York, Denise Rush as Boston Architectural College, Alexis Abramson at Dartmouth College in New Hampshire, Janis Terpenney at the University of Tennessee, and Beth McNeil at Purdue University in West Lafayette, Indiana. he Cornell Law Review has elected a senior editorial board made up entirely of women for the first time in the student-edited journal’s history. 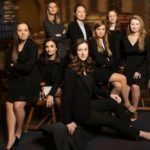 The new board also believes that this is the first all-female senior editorial board of a law journal at any of the top 14 law schools in the country. Women made up 51.6 percent of first-time, first-year students at U.S. medical schools in 2018. Women were 66 percent of new medical students at the University of New Mexico, the highest percentage in the nation. The lowest percentage of women matriculatns was at the medical school of the University of South Dakota. Currently, Dr. Harrison is the William H. Wurster Professor of Multinational Management and professor of business economics and public policy at the Wharton School of the University of Pennsylvania. 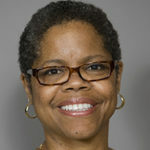 Before joining the faculty at Wharton in 2012, Dr. Harrison was director of development policy at the World Bank. 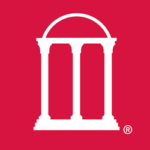 The University of Georgia College of Pharmacy has announced a field of four finalists to serve as dean. All four finalists will visit campus by the end of the month for a series of interviews and public presentations. All four finalists are women. 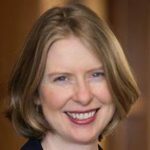 Professor Abrams, who will become dean of Duke Law School on July 1, is the vice provost for faculty affairs and professor of law at the University of Virginia. She joined the faculty there in 2005. From 2002, to 2005, Professor Abrams taught at the New York University School of Law. 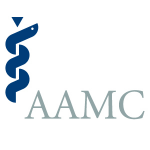 Data from the American Association of Medical Colleges shows that in 2016 there were 65,888 women faculty members at U.S. medical schools. There were 100,318 male faculty members. Thus, women made up 39.6 percent of all medical school faculty. Women were 22.8 percent of all full professors. In 2017, there were 10,810 women who matriculated at U.S. medical schools, compared to 10,516 men. This is the first time in history that more women have entered U.S. medical schools than men. Dr. Rush, a professor of internal equine medicine and specializes in equine respiratory disease, is serving as interim dean. She joined the faculty at the veterinary school in 1993 and served as head of the clinical sciences department from 2006 to 2017. The three women who have joined the faculty at the law school at Wayne State University in Detroit are Anne Choike, Sanjukta Paul, and Rebecca Robichaud. Joan R.M. Bullock has been named the next dean of the Thomas Jefferson School of Law in San Diego, California, and Lyrissa Barnett Lidsky has been selected as the next dean of the University of Missouri School of Law. Both will take office on July 1. On July 1, 2015, Jennifer S. Bard became dean of the College of Law at the University of Cincinnati. She is the first woman dean in the 184-year history of the law school. 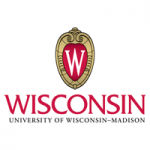 Now, the interim provost at the university has placed Dean Bard on administrative leave. 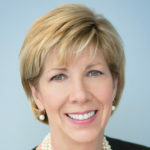 Cathy Cox was selected as the next dean of the School of Law at Mercer University in Macon, Georgia. 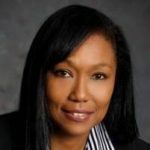 Marcilynn Burke was named dean of the University of Oregon School of Law and Susan Duncan will be the next dean of the University of Mississippi School of Law. 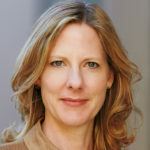 Professor Heather Gerken is the J. Skelly Wright Professor of Law at Yale and is the director of the San Francisco Affirmative Litigation Project. When she takes office on July 1, she will become the 17th person and the first woman to hold the position as dean of Yale Law School. In 2016, there were 38,773 students who applied to medical schools. Of these, 19,682, or 50.8 percent, were women. This is the first time since 2007 that the number of women applicants was higher than the number of men. During the 2014-15 academic year, the University of Illinois issued medial degrees to 156 women, the most of any medical school in the United States. At many high ranking-medical schools, women graduates outnumbered men. In 2015, there were 61,924 women teaching at U.S. medical schools. They made up 38.7 percent of the total faculty. Women were even more underrepresented at the highest faculty ranks. Only 28.3 percent of all full professors were women in 2015. Jocelyn Benson, dean of the Wayne University Law School in Detroit, is expecting her first child on June 4. 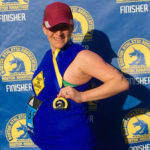 On April 18, Dr. Benson, with the approval of her doctor, competed in and finished the Boston Marathon. 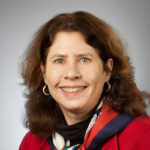 Linda A. Lewandowski is the associate dean for academic affairs at the University of Massachusetts College of Nursing and Linda Scott is the associate dean for academic affairs at the School of Nursing of the University of Illinois at Chicago. Traditional undergraduate programs at St. Catherine University in Minnesota are reserved for women. But the university also enrolls about 1,500 students in co-educational graduate programs. Recently, the first 18 students completed study in the university’s new MBA program. Seventeen are women. The three women finalists are all law school professors. They are Mary Anne Bobinski of the University of British Columbia, Laura Gomez of the University of California, Los Angeles, and Angela Onwuachi-Willig of the University of Iowa. Angelique EagleWoman was appointed dean of the Bora Laskin Faculty of Law at Lakehead University in Thunder Bay, Ontario. 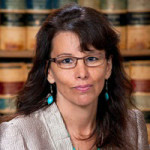 A member of the Sisseton-Wahpeton Dakota Oyate of the Lake Traverse Reservation in South Dakota, she currently is a professor of law at the University of Idaho. The data shows that women earned slightly lower salaries in their first jobs after graduating from business school than men. 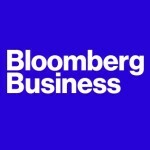 But six to eight years after leaving business schools, a significant gender gap in median salaries had opened up. 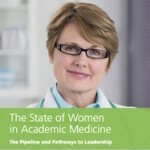 A new report from the Association of American Medical Colleges finds that while women have made some progress in academic medicine, they have a very long way to go before they near parity with men. 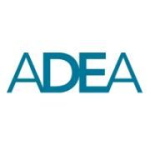 The number of women applying to U.S. dental schools has increased by 82 percent since 2000. During the same period male applicants to dental schools increased by 27.8 percent. In 2014, women made up 51.2 percent of all new enrollees at U.S. dental schools. 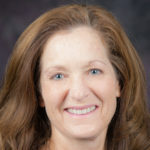 Barbara Atkinson, a professor emerita at the University of Kansas School of Medicine, has spent the past 18 months as planning dean at the University of Nevada, Las Vegas. In this role she has hired faculty and staff, raised funds, and developed curriculum. In 2015 women made up 48.7 percent of all applicants to U.S. medical school. That same year, women were 47.8 percent of all entering students at medical schools. Over the past decade the percentage of women among entering students has decreased slightly from 48.5 percent fo 47.8 percent. 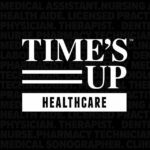 Dr. Danielle Laraque-Arena has been serving as chair of the department of pediatrics at Maimonides Medical Center in Brooklyn, New York, and as a professor of pediatrics at the Albert Einstein College of Medicine of Yeshiva University. Simmons College in Boston has seen declining enrollments in its on-campus MBA program for women. 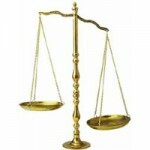 So it is now moving its MBA programs exclusively online and the new programs will be available for both men and women. 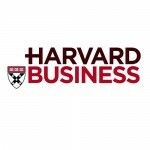 Students in the new online MBA will have the option of an elective gender component. 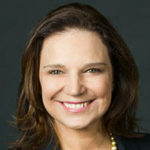 Jennifer Mnookin was selected as the ninth dean of the School of Law at the University of California, Los Angeles. An expert in evidence law, Dr. Mnookin has been on the UCLA law faculty since 2005 and currently is the David G. Price and Dallas R. Price Professor of Law. Suzanne Reynolds has served as interim dean for the past year. From 2010 until her appointment as interim dean, she served as executive associate dean for academic affairs. She joined the law school’s faculty in 1981. Participants in the PEEK program will spend evenings analyzing real-business cases, and use morning study groups and classes to examine and debate their ideas through interaction with peers and faculty. 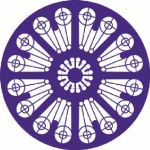 Only students or graduates of women’s colleges are eligible to participate. Jennifer Chen never graduated from high school. After finishing ninth grade, she enrolled at California State University, Los Angeles at the age of 14. This spring, Chen will be youngest person to graduate from the medical school at Florida International University.